Max levels and Service Stars revealed. 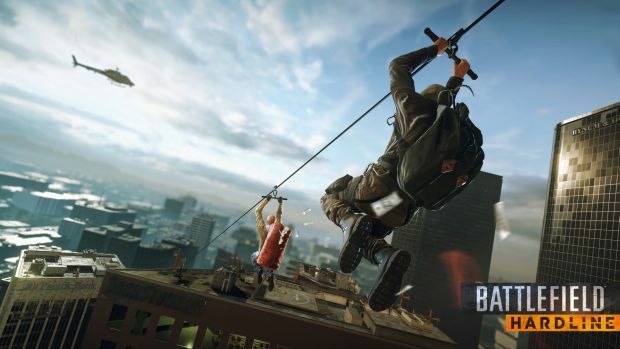 The Battlefield: Hardline open beta is currently underway and it allows players across all platforms to unlock everything – or as much as possible in the five days it’s available. To further aid in that endeavour, Visceral Games released a detailed post on the progression system and how certain mechanics worked. You’ll see Service Stars return with Bronze Stars rewarding vehicle mods and class load-outs while Silver and Gold Stars give you gun shaders and outfits. There are also more than 200 Assignments to be completed, rewarding patches and weapon unlocks. Of particular note are the Syndicate Assignments which have hidden requirements. Teamwork is rewarded more in Hardline. Get a kill while next to your team-mates in Hotwire and you get more cash than randomly killing cops somewhere else. You can achieve a maximum level of 150, all said and done. Battlefield: Hardline is out this March for Xbox One, Xbox 360, PS3, PS4 and PC. What are your thoughts on the open beta? Let us know in the comments.